Posted Friday, March 30th, 2012 by Robyn Warner. Wide-format printers (or large-format printers) are less common than the typical home or office units many users are used to, but they can be used for a much wider variety of tasks, and can be used with a wider variety of media as well. For those who already have a wide-format printer, you may not even be aware of the many uses for your machine. Most of this uses don’t even require special ink cartridges. What is a wide-format printer? This type of device is large in size with a wide range of the paper size (17 inches to 100 inches) being printed on. 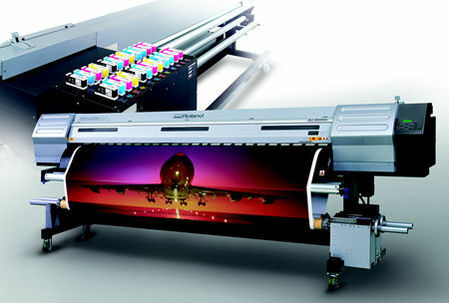 Anything bigger than 100 inches will require a super wide-format printer. Large rolls of paper are often used rather than sheets. Automatic or manual cutters can separate the printed page from the rest of the roll, providing flexibility as to the length of a project. For a more detailed look, see What are Large-Format Printers. Banners and Signs – This is the most common use for wide-format printing. The bright color and wide formats of these printers lend themselves perfectly to creating eye-catching banners, and separate strips can even be combined for larger uses like billboards. Photographs and Art – As photographers and artists move into the digital age, having a method for creating large prints is even more important. These require the wide media support of wide-format printers. Window Signs and Decals – Large, colorful window displays can be created to catch the eye of customers and clients. Magnetic Media – Wide-format printers can even print on special media that can be overlayed onto magnetic material. This is suitable for sticking to vehicle doors or other metal objects as a temporary solution. 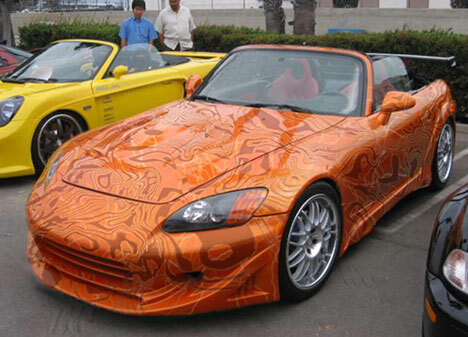 Vehicle Wraps – Wide-format printing can even be used for vinyl vehicle wraps to create a unique look for any vehicle. Other more specialized uses include backlit semi-transparent signs, printed flooring decals, life-size cutouts, and menu boards for restaurants. While this article isn’t meant to provide an exhaustive list of options, it can point out some of the uses of a wide-format printer that you may not have considered. Hopefully, it will inspire you to try some new creative projects.